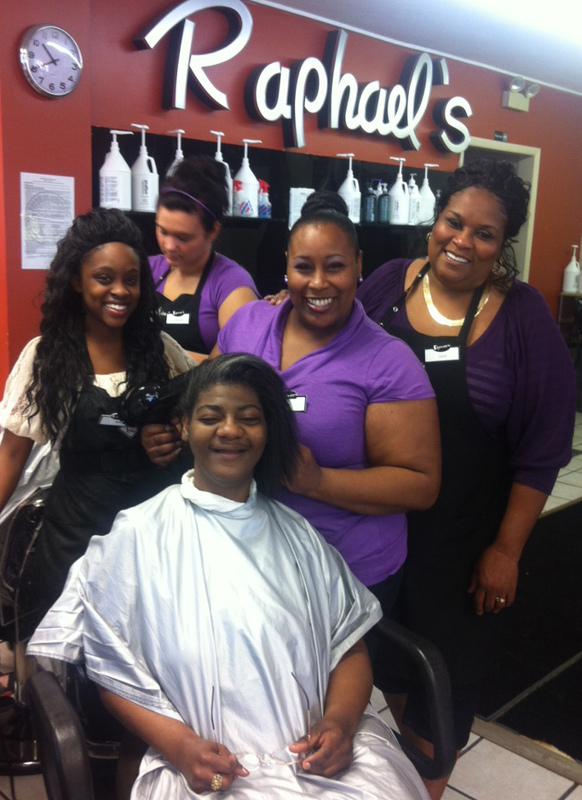 Raphael’s Beauty School generously donated their services to the Purple Cat gals before the 2013 Golden String prom. 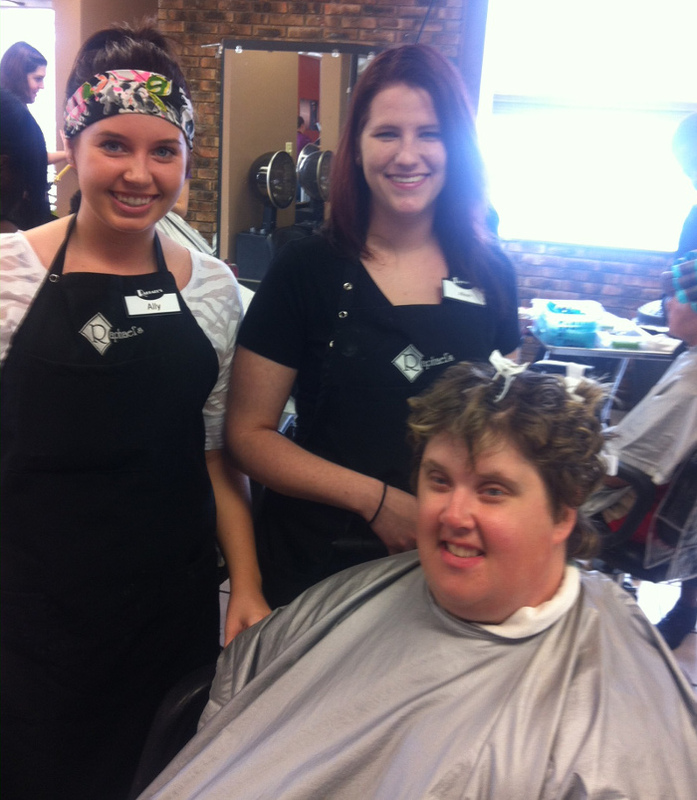 Raphael’s students worked their magic on formal hair styles, manicures, pedicures & make-up for the girls. The ladies looked amazing!!!! Everyone left the day of beauty with a goodie bag that included hair products & a beautiful corsage. 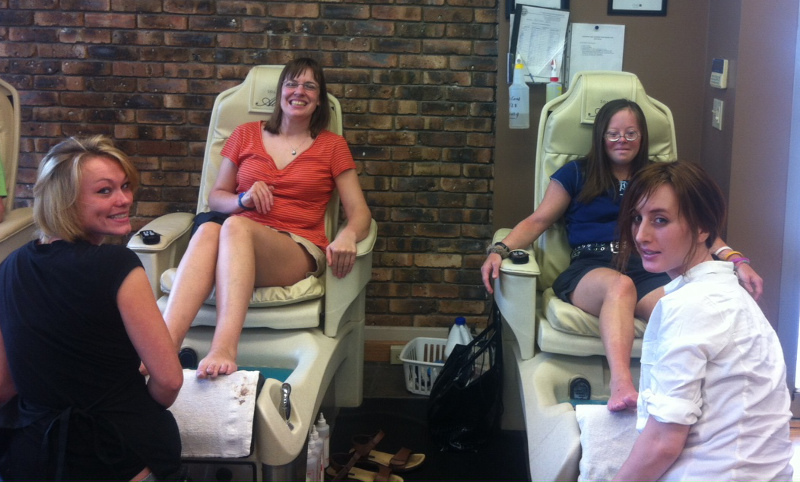 It sure is nice to be pampered every now & then. Thank you Raphael’s & especially Ericka. We love you! Raphael’s is located at 615 Boardman-Canfield Road, Boardman, Ohio.